Our artists are all professionals in their field. They are trained in acrylic painting, watercolour painting, felting, pottery, alcohol ink, drawing, sketching, stiching, stained glass, tapestry and texture weaving, clay tile, mandala drawing, etc. Sherry Beiers is a self-taught Acrylic Landscape Artist. 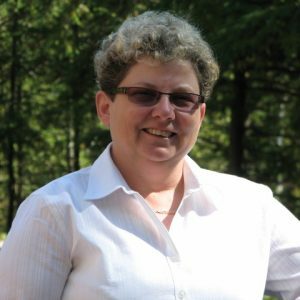 Sherry was born and raised in Muskoka and presently resides in Bracebridge. She was initially inspired by the Group of Seven and draws on the raw beauty of untamed landscapes to create works of art with vital and deep colours. Sherry’s unique style is alive with sharp contrasts achieved through the brush and bold use of a pallet knife. Sherry’s love of the outdoors and genuine concern for the environment provide her with unlimited motivation and subject matter to photograph and create her vibrant paintings. Please join Sherry in our studio for Adult Acrylic painting classes and our Friday night Art Nights! Mary An moved to Muskoka 5 years ago. 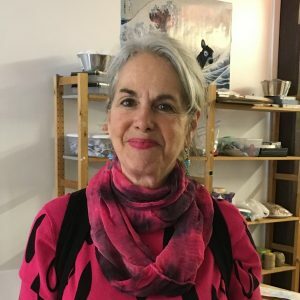 She describes her philosophy as “Life is Art to me and that is why I call my artist journey "Windows Into My Art~ Mary An is a self-taught artist in most mediums, She started with pencil renderings, and moved to accomplished pen and ink. Mary An fell in love with water colour painting over 30 years ago and is passionate about the magic that happens on paper. Teaching it for the last 15 years has become her second passion... “I love lighting people up with their creative gifts”! Mary An is a kind and gentle soul that encourages those around her to feel comfortable as soon as they meet her. Please join her in our watercolour workshops! Emily Hunter was raised in Uxbridge, Ontario and now, with her husband and 2 young children, calls Bracebridge home. 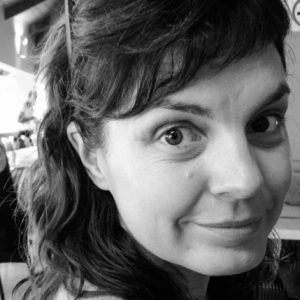 Emily completed her BA in Studio Arts at the University of Guelph and went on to complete her Masters of Teaching Visual Arts in Queensland, Australia. She has a love of drawing, painting, sculpting, printmaking, crafting and anything to have a creative outlet. Emily is a supply teacher with the local school board and will be overseeing our school and community outreach programs. She will also be in the studio deliverying child and youth programs in painting, drawing and printmaking. From a very young age you could find Andrea creating sewing projects without a pattern, colouring outside the lines, cutting the tips off the snowflakes when you weren’t supposed to and taking scraps from the basement and piecing them together for a magical creation the turned out to be a beautiful sculpture. Things often evolve and change in her art as she is working through a project and it was the artists around her, in her family and in her instructional/non-instructional life that encouraged her to be creative in this way. Andrea will be facilitating classes of discovery- creating along side with you and having fun in the studio! 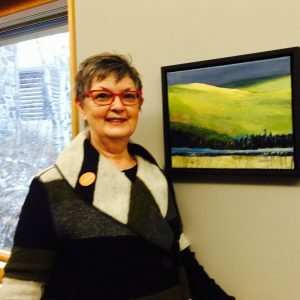 A lifelong fascination with colour, Lynda works in a wide range of mediums She has continued to study art all of her life, her first formal training being with noted landscape painter and friend, Robert Emerson Everett and then at the Ontario College of Art and Design, Georgian College, Nipissing University, and with various master artists. The world around her holds infinite curiosity and interest, and she finds the whole field of artistic expression fascinating. Art helps her to see both inner and outer worlds and is a form of language that speaks to the soul. In her paintings, she uses colour subjectively, trying to psychologically capture the intrinsic spirit of the subject. Art is a matter of perception, with its elements changing through both the eyes of the artist and with the viewer. Lynda’s work leans toward abstract realism and nonrepresentational abstract forms of expression. She likes to play and experiment with the challenge of light playing on colour, to combine all of the elements in a satisfying whole, hoping to stir the imagination of the viewer by involving them on a personal level through the use of their own imagination. Lynda was a founding director of the Muskoka School of the Arts where she focused on teaching the uses and expressionism of colour and colour theory. Lynda has given workshops for Central Ontario Art Association; Kingston Collegiate and Vocational Institute; Barrie Art Club; Georgian College; Gibson Centre for Arts and Culture, Alliston; Halifax, N.S. Art Group, Muskoka Arts and Crafts; Brown Baggers; and others. Lynda’s paintings hang in private and corporate collections internationally. Dayna Barley-Cohrs creates artwork and illustrations in a variety of materials, including oils, charcoal, watercolour, and digital mediums. She works both as a freelancer, creating art and designs for clients, and as Lead Illustrator for Next Day Animations, where she creates whiteboard explainer animations. 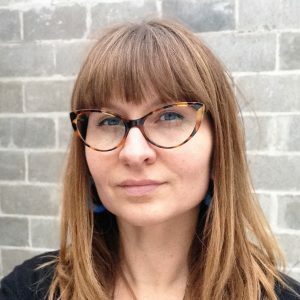 After graduating from the Ontario College of Art and Design in 2003, where she studied figurative drawing and painting, she moved to Muskoka with her soon-to-be husband Andrew. The two built a straw bale home and studio in the village of Vankoughnet, where they created some loveable offspring, and began their artistic careers. 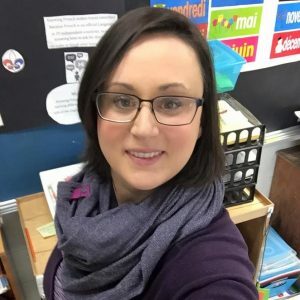 Hannah Strand is a Muskoka based visual artist, arts instructor, and Montessori teacher. 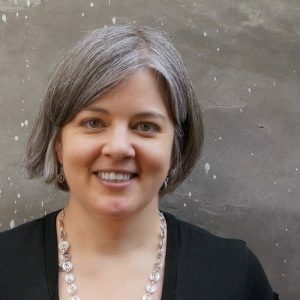 She is an award-winning graduate of Sir Sandford Fleming College, where she studied Visual and Creative Arts, Fibre Arts, and Expressive Arts. Hannah’s personal art practice centres around fibre and textile pieces that discuss social issues while celebrating traditional techniques used by craftswomen over the centuries. 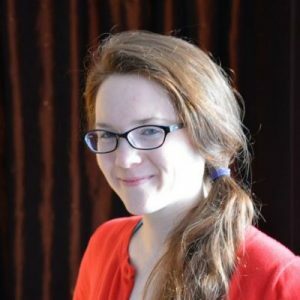 Hannah enjoys facilitating classes and creative experiences for all ages with an emphasis on experimentation, self-expression, and enjoyment. Focusing on the “how” and “why” of art, she leaves the “what” of the finished product up to her students, promoting self-satisfaction and a sense of accomplishment. Hannah’s mission statement is “encourage, empower, inspire”. 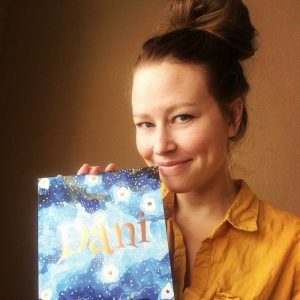 Shailie is a Muskoka based artist who has written and illustrated her own children's book "Dani". She is multi-talented and a wonderful teacher. Most recently moved from British Columbia she comes to us with fresh ideas on nature based art projects, watercolour and youth programs. Jen is a Muskoka based artist from Elmsdale, ON who runs Fish Eye Sisters. Her successful business and personal hobby is in the art of textiles and fabrics making beautiful pieces. She hand dyes her own wool, quilts and rug hooks Internationally acclaimed art pieces. This business is in her blood as she carries on the tradition of rug hooking from four generations in her family. We are very excited to have been able to arrange a workshop with Jen!